Braxton Bragg (seriously schizophrenic) versus Rosecrans (seriously motivated) faced off at Stones river with Sheridan facing Polk. Cheatham managed to sober up long enough to put in a decently co-ordinated attack taking the limestone outcroppings and contesting the ground in the Union centre but the Confederate right flank was left dangerously exposed to the oncoming Union brigade spurred on by Roberts. Woodruff was unusually gallant for a cretin and first got his horse shot out from under him and then got shot in the noggin for his efforts. Unfortunately for the Confederates this wasn't a great loss for the Union. 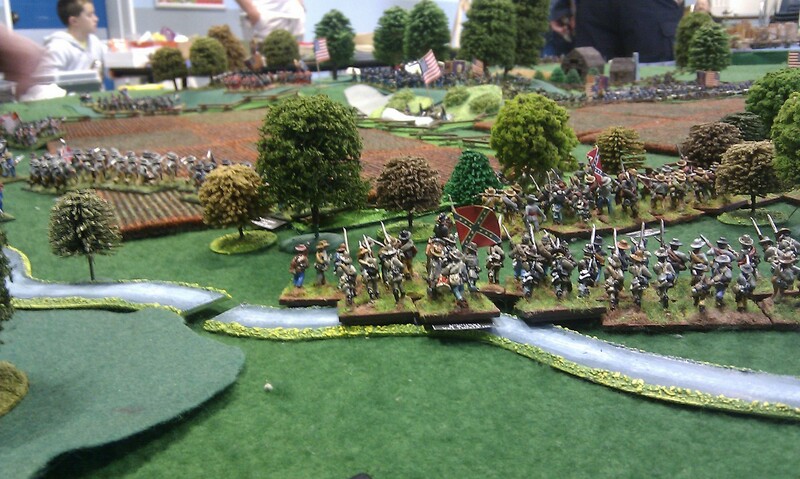 The initial assault on the Peach Orchard went well and the McLaw's Confederates broke into the edge of the orchard with the help of massed artillery support and Union Artillery redeployed along the front of Houck's Ridge as a result. Union reinforcements to III Corps were also starting to arrive slowly which also put the Confederate advance under some urgency. Hood's Division was by now fully committed on the Confederate right between Devil's Den and Peach Orchard and moving through the infamous wheatfield. Casualties were mounting on both sides as the whole of Houck's Ridge was soon heavily engaged with the Confederate's still having the upper hand and the Confederate artillery trying to redeploy to deal with the flood of Union reinforcements reaching the Union central position. Things were looking dicey..... (oh noes dice and 'Mr 6' is here!) Thankfully time was against us and we finished at the crescendo of the battle where everyone was claiming victory! We came we saw and we .... got stuck in! C'mon I mean a full day's wargaming with no distractions apart from the odd wandering wargamer (aka member of the public....). 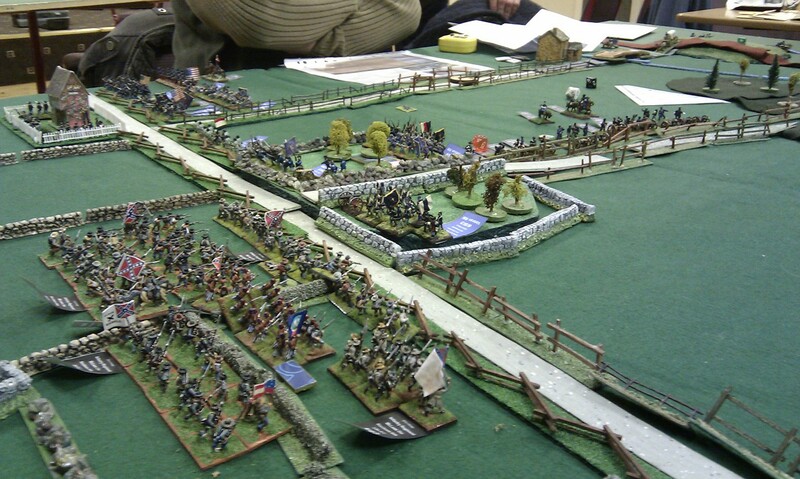 DWC put on a Peach Orchard 15mm ACW display for the day. 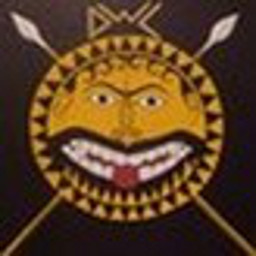 DWC entered a 6th Edition Ancients team plus one individual for this competition held by Derby Wargames Association every year in October. It was decent run by the guys. It's actually quite scary when you think we've been attending since 1988 which would make 2013 our 25th anniversary event. It tends to be a no hassle friendly but competitive event which has a certain shudder factor which happens when certain members remember what they got up to at night during those early trips.... say no more (however some of those stories are.. legendary...)!